Wireless carriers advertise baseline numbers for coverage area and bandwidth speed, but they inevitably vary from place to place. You may get great service on one side of town, but see your signal drop as you drive down the street. 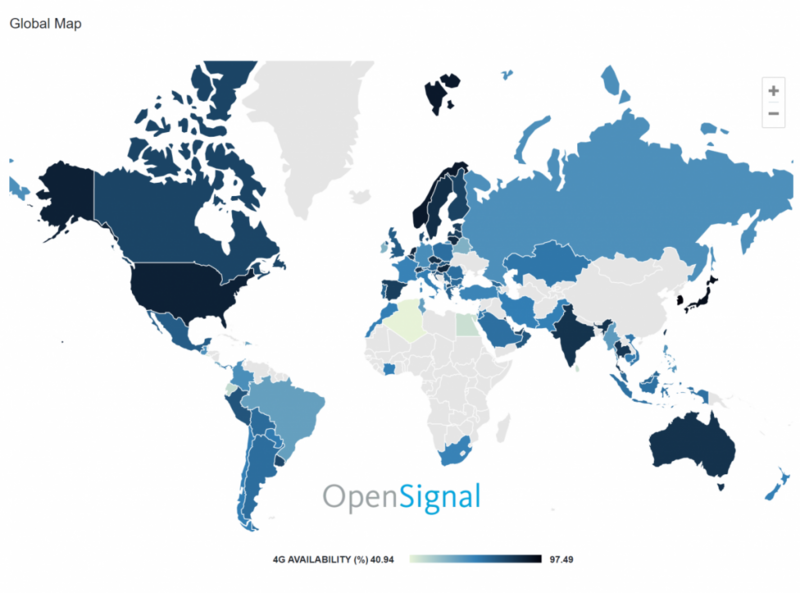 That’s why the folks at OpenSignal crowdsource 50 billion measurements from more than 3.8 million smartphone and tablet users all around the world, and compile that data into a regular report: State of LTE. On Tuesday, the research firm published its analysis for February 2018. The last report from OpenSignal, which was made available in January, focused on the four major wireless carriers in the United States. The new State of LTE report covers 88 countries throughout the globe, and shows data for 4G availability, average speed, and more from the period between October 1 and December 29. 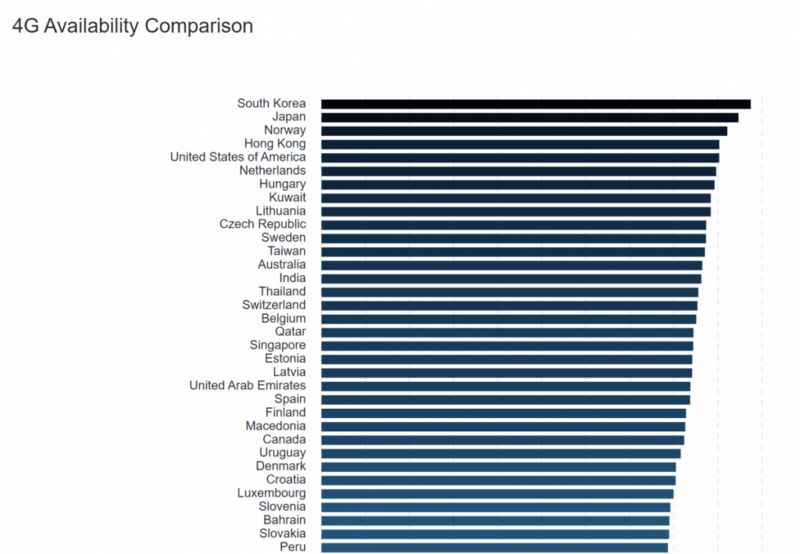 First up is a chart illustrating the availability of 4G on a per-country basis. South Korea currently sits at the top, with the United States coming in 5th and India coming in 14th. The next chart shows the average download speed that users in each country see when connecting to LTE networks. 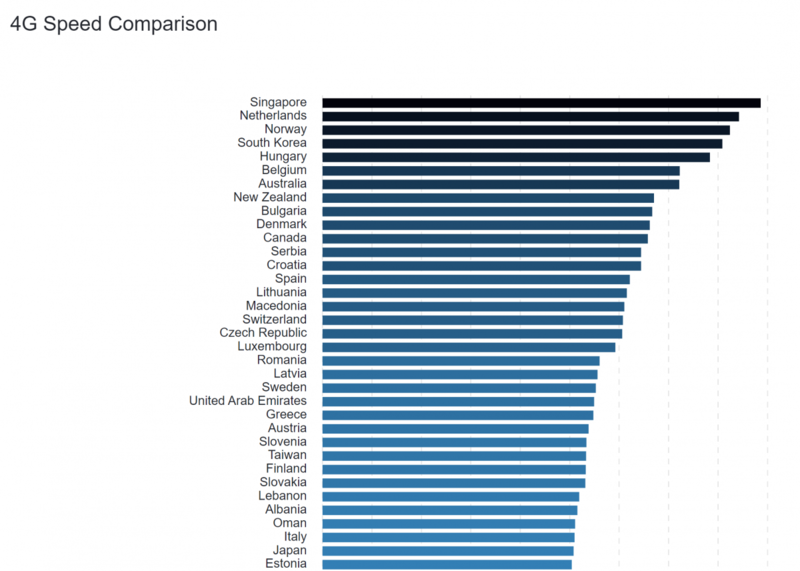 Singapore nabbed the top spot; South Korea came in 4th place; and the United States ranked 62nd behind regions like Vietnam, Uruguay, and Peru. 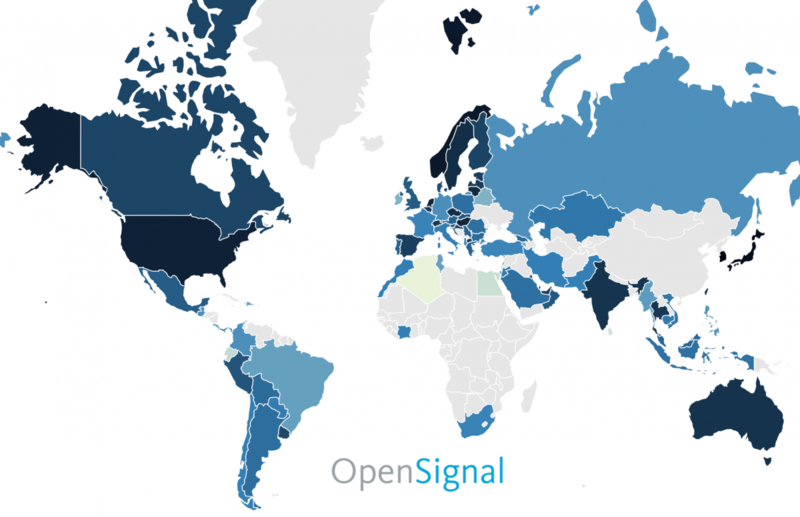 Countries with the fastest LTE speeds plateaued around 45 Mbps, according to OpenSginal. Still, 4G speeds improved in certain regions of the world. 18 countries surpassed the 30-Mbps mark, and 60% had LTE speeds averaging 20 Mbps or greater. The report’s “Global Picture” graph shows current 4G availability across the globe. Prior to February, only two countries, Japan and South Korea, had surpassed the 90% 4G availability mark, but this month’s data saw Norway, Hong Kong, and United States join the club (with the Netherlands not far behind). It speaks to a broader trend: an increasing number of carriers are expanding 4G LTE service to far-flung regions instead of focusing on raw speed. Check the source link to read the full report.